Perfect for those following a low carb or Keto program. Only 2 gms of carbs per serving. 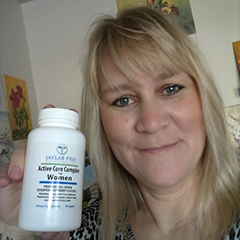 Also, works great to boost your metabolism and curb cravings day or night. All natural low temperature micro filtered and ion-exchanged whey protein isolates for unparalleled purity. 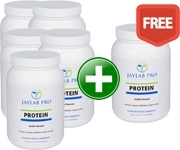 Get Your Risk-Free Container of Jaylab Pro Low-Carb Protein. This is a full size container that we sell for $47.95. 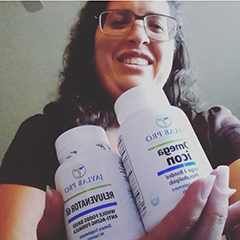 It isn't a sample size container where you only get 5 servings. 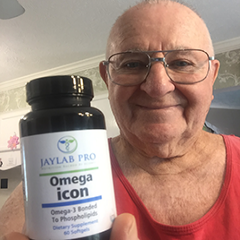 We’ll rush everything out to you right away- your container of Jaylab Pro Keto Approved Protein, FREE 51 recipe dessert cookbook, and FREE coaching and discounts! 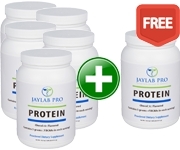 This is so valuable and made with premium natural low temperature micro filtered ingredients and the most delicious, award-winning flavor of any protein powder on the planet. * 24 Grams of low temp, micro filtered protein per serving. * Only 2 grams of carbs per serving. 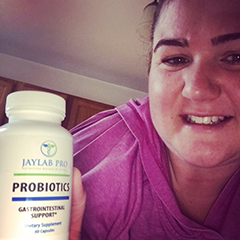 * Easy on the stomach: Contains a natural digestive enzyme that boosts protein absorption and optimizes digestion. 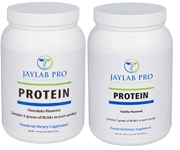 * Quality Guarantee: At Jaylab Pro, we are committed to being the best. All of our products are manufactured in a GMP facility and undergo 3rd party lab-testing to ensure purity, potency and safety. And did we mention it tastes incredible? 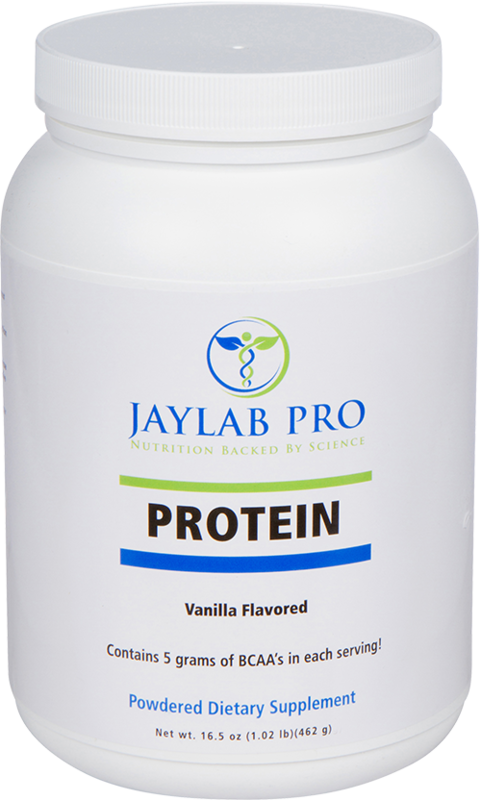 Every time you mix up a Chocolate or Vanilla Jaylab Pro Keto Approved shake, it tastes rich and smooth. It also only has 130 calories per serving to help you reach your fat burning goals faster. 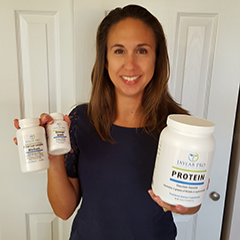 We believe it's the BEST protein powder you can buy and we are certain that once you discover the amazing taste you will want to purchase more. 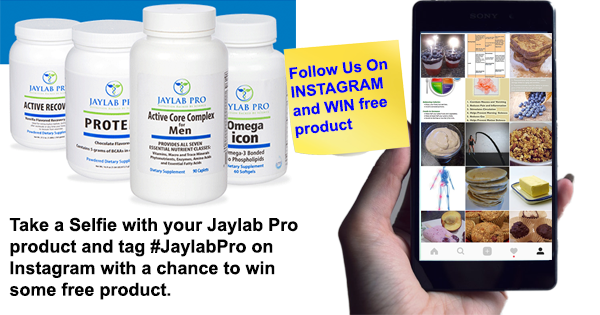 Today we want to PROVE that Jaylab Pro Keto Approved Protein is everything we way it is by giving you your first bottle at a 10% discount. The best way to consume our protein is between meals to crush cravings or for breakfast. 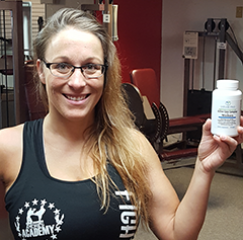 You can also take it after a workout to speed up your recovery from the workout. Finally, if you have that sweet tooth late at night you can drink a nutritious night-time protein shake. 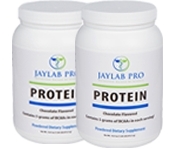 Just add 2 scoops of Jaylab Pro Protein Powder to 8 ounces of milk or water in a shaker cup. Shake for 30 sec to 1 minute until smooth. 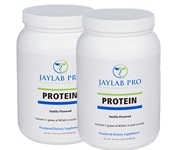 You can also use your favorite Jaylab Pro protein in one of the 51 dessert recipes included with your purchase today. Q: What If I Have An Allergy? Our protein powder does contain milk and it is manufactured in a facility that also processes nuts, peanuts, wheat, soy and tree nuts. 3rd party testing ensures purity and it is produced in a GMP quality facility. There are no artificial sweeteners, colors or flavors added. If you have any concerns about our protein you should consult your physician. It is always smart to keep a container or protein powder on hand because you never know when you will get one of those cravings or late-night snack desire. 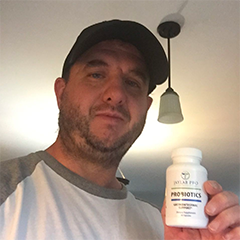 It is also good to take when you don’t have time to make breakfast, but in under 1 minute you can have a nutritious shake and out the door you go. Q: How will this product be shipped to me? We will ship your order directly to your shipping address you provide to use using a either UPS or USPS. 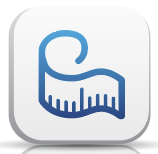 Customers in the United States can expect their orders within 3-4 business days. Yes, we use a 256-bit secure PCI compliant server where 100% of your data is encrypted, safe and secure. Our secure shopping cart and server is verified through a 3rd party security verification service (McAfee Secure), the leader in security scanning. 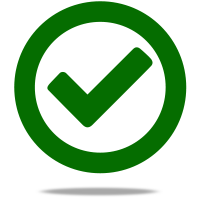 So you can be assured that your ordering information is 100% safe and secure. 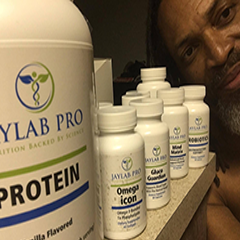 Jaylab Pro is America’s #1 online nutrition brand. 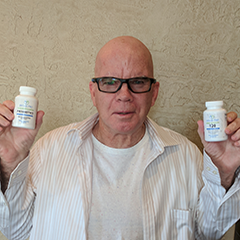 It was started by Jayson Hunter a Registered Dietitian whose mission was to combine the principles of a solid nutritional foundation with the science of smart supplementation. 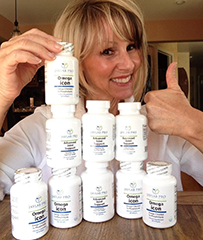 Quality also means service, and we take great pride in providing our customers nutrition principles that they can use for the rest of their lives along with world-class customer service.